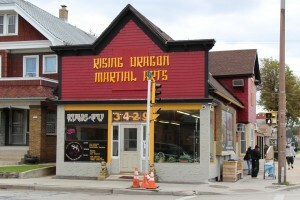 Rising Dragon Martial Arts provides over 3000 square feet of martial arts training and education in Milwaukee’s historic Silver City district, overlooking the scenic Menomonee River Valley. 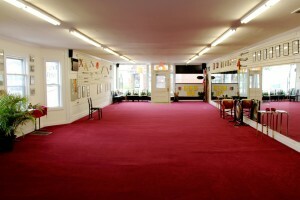 Originally built in 1903, this newly remodeled facility features a 1300 square foot main training floor, a 700 square foot kick boxing room, a spacious meditation area, changing rooms with private lockers, a gathering area and sport shop. 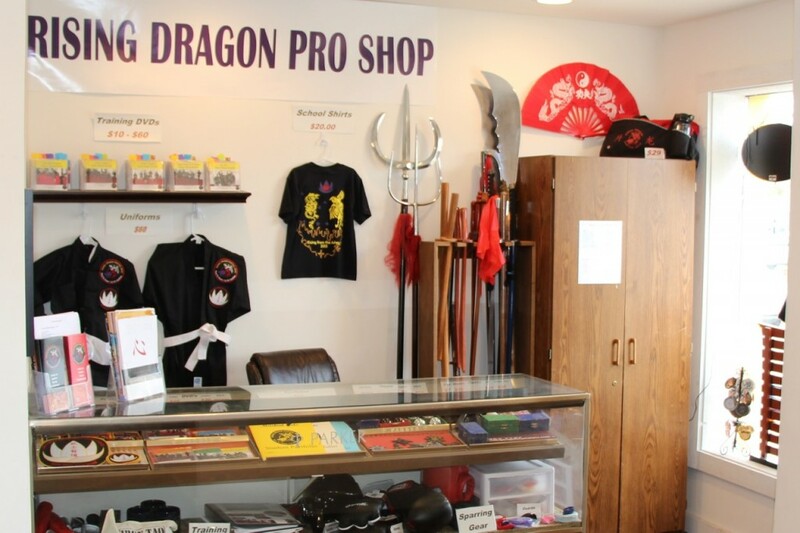 Conveniently located on the corner of 35th Street and Greenfield Avenue (click to view map), Rising Dragon Martial Arts is easily accessed by public or private transportation, including Milwaukee County Bus Routes 35 and 56. The Hank Aaron State Bicycle Trail passes nearby, and there is off-street parking available across the street. Our school is wheelchair accessible, and is compliant with the Americans with Disabilities Act (ADA). 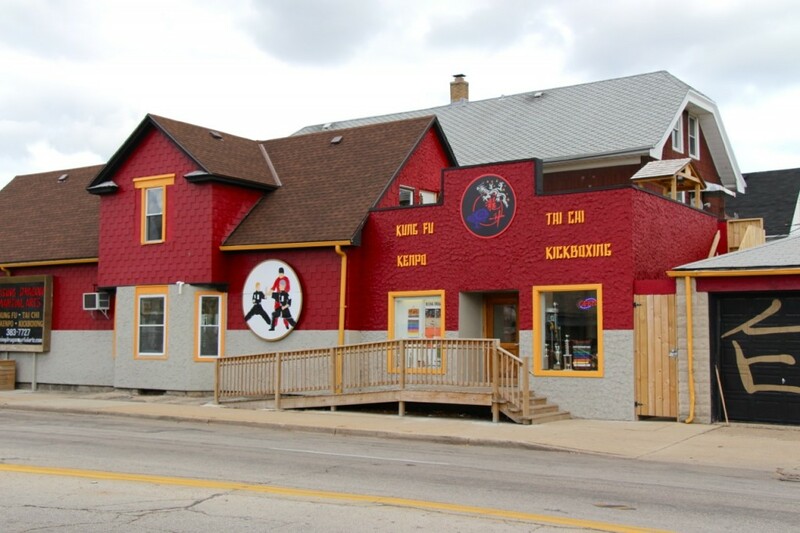 Our main entrance is on 35th Street, a block south of Greenfield Ave. 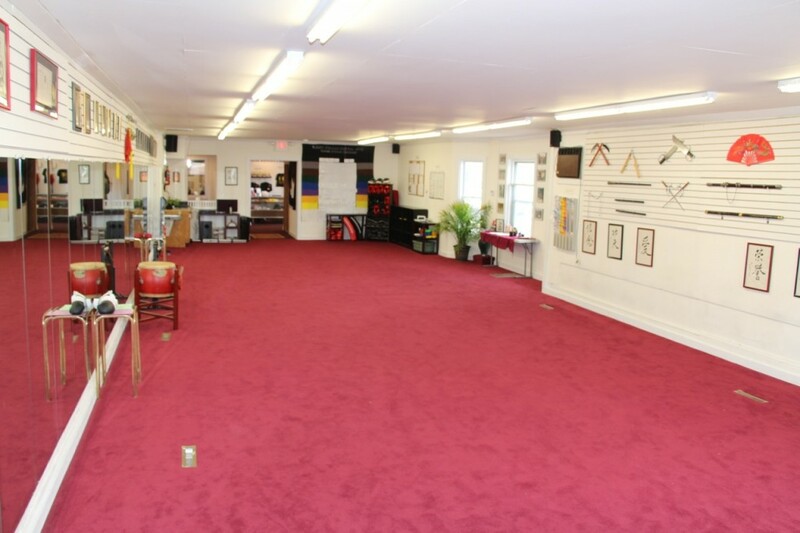 The Dragon Room, our expansive main training space, is where most classes are held. 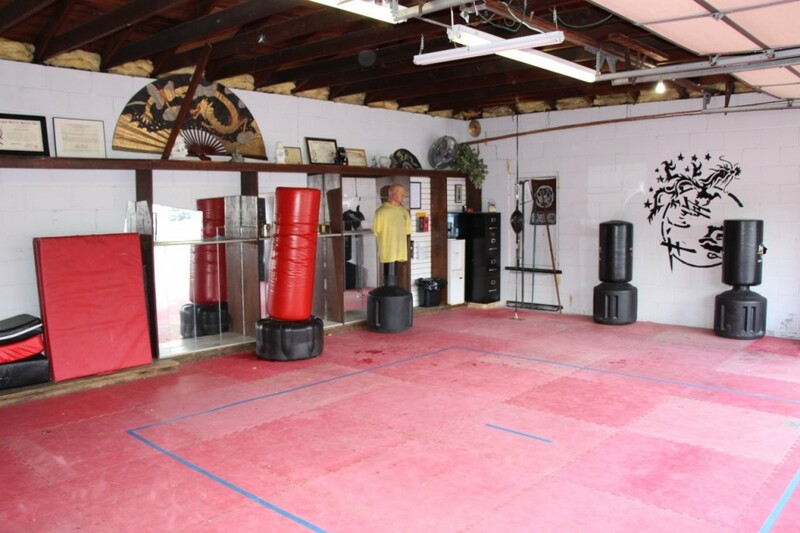 The Phoenix Room is used for sparring and San Shou classes. 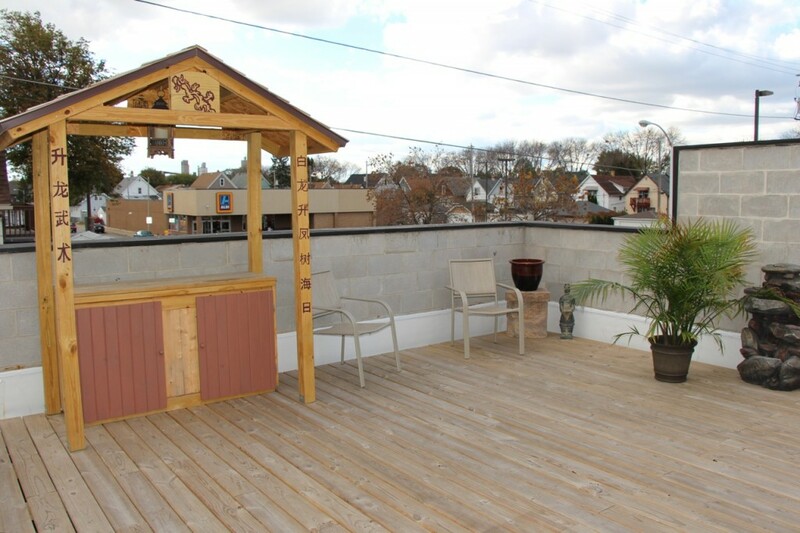 The Tai Chi Garden is an exterior space we use for Tai Chi classes and meditation. 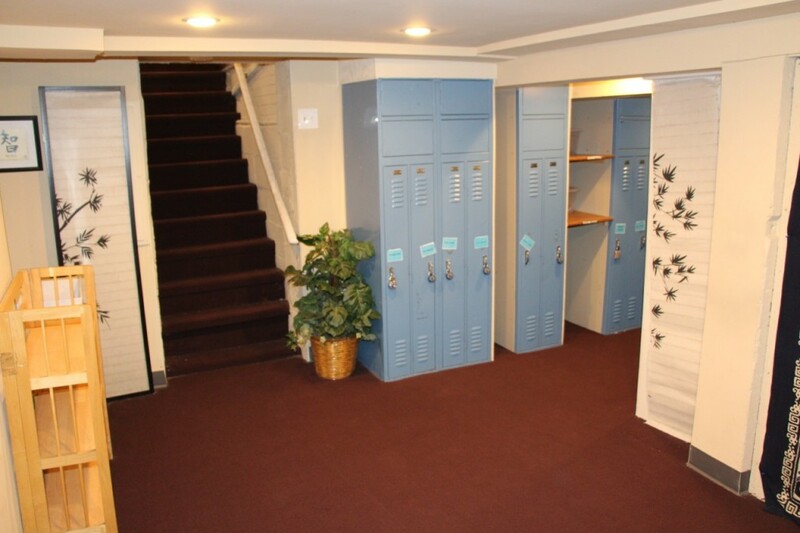 Downstairs in the main building we have a dressing area and lockers for students. Our Pro Shop carries all of the training gear, weapons and class resources you need.